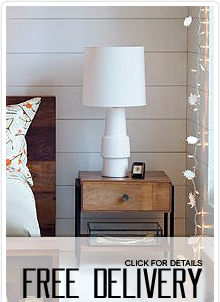 Tip #7: Is It Really Solid Wood? Tip #20: Is It Oil Based or Latex Paint? Tip #27: What Kind of Finish Is It? Tip #32: What Kind of Glue to Use? When most people think they have a wax build up, most likely the culprit is a softened finish. Oil from your skin, food oils, and some detergents can break down a finish making it sticky, which in turn collects dirt and grime. If the problem lies on an area that is frequently touched. To clean it, try using mineral spirits or naphtha as your cleaning agent. Using a soft rag or #0000 steel wool, this is good for getting rid of a waxy build up. A word of caution though, if your finish has softened all the way through to the wood, this process could leave you with bare wood. If your finish has gotten that bad to start with, there isn't anything else you can do to reverse it other than stripping and refinishing anyway. One of the best way's I have found is using a padding lacquer. It really works well on household woodwork as well as furniture when you get a light colored scratch in the finish. You will need a soft cloth. Fold the corners until you can make a tight ball out of the center. Apply the padding lacquer to the pad and tap it into the palm of your hand. (Gloves come in handy here). This will spread it through the pad. Lightly pad in the direction of the grain like it is an airplane coming in for a landing then taking off again. Don't over pad or come to a stopped landing. Let it dry for a couple minute's and reapply if needed until the scratch is melted back in. Usually one swipe is all it takes. This will leave a high gloss finish if you keep padding, so you may have to pad the whole surface to make it all look the same. Another way of removing light scratches is rubbing them out with polishing compounds. These are best used on high gloss sheens. To paint over an existing finish, there are a few things to consider. One is the overall condition of the original finish. Most factory finishes are done in lacquer and older finishes tend to lose their plasticity and get hairline cracks running through it. If this has happened to your piece or you have bare or worn spots, it may be worthwhile to go ahead and strip the old finish off. Otherwise the cracks will show up in the finished project. If your finish looks sound, Where you need to start is by removing all the hardware. Any parts that also come off, may make the job easier. Grab some naphtha or mineral spirits and some clean cloth rags, and wipe the whole piece down once or twice. This will remove any furniture polish or body oils that may still be present. If there is any organic matter left on it, you may have to use a damp rag to remove it before moving on to the next step. In order to provide the new finish tooth to adhere to, you will need to do some sanding with 400 grit wet or dry sandpaper. sand it until you have removed all traces of the original sheen. To get into some nooks and crevasses, a general purpose Maroon scotch-brite pad works well. Once you are done with the sanding, give it a good blowing off with compressed air (Wear your particle mask) or vacuum up the dust followed with a damp rag. With all the prep work done, give it a final wipe down with naphtha and let it dry for at least 30 minutes prior to applying your first coat of paint. Make sure you doing it in a dry dust free environment if you can. A tack rag is a very important finishing tool. Oil based finishes are going to be the most compatible to the lacquer, and hold up the best. They do require a paint thinner for cleanup instead of water. Make sure you follow the instructions on the can. This is the question I get asked the most. How do I remove the white rings and spots on my furniture. Given enough time, water can cause as much damage to wood as can fire. The first step in removing a fresh white spot or ring is simply to do nothing except remove the source of the moisture and any remaining on the woods surface. Then wait. What the white ring consists of is water vapor trapped on the surface of the finish. In some instances, fresh white rings will disappear if given the time to be absorbed by dry air. High humidity will slow this process. A hair dryer will speed up the process, but set it on low and use discretion. Do not, however, presume that if a little heat is good, more heat is better-and reach for the heat gun. The white ring may disappear, but only because you melted the finish around it . If the white ring refuses to leave on it's own, then you must try the following three suggestions. If your table has a satin or dull sheen, grab a pad of OOOO Steel wool and some lemon oil or wool lube. Put some on the pad and rub the spot moving in the direction of the grain. Once the spot is gone, you may need to rub the rest of the table top so the sheen is even. Make sure you go with the grain in long even strokes from one end to the other. To finish the task, simply wipe off the remaining oil and apply your favorite polish. If you have a glossy sheen, You may try using a little bit of white tooth paste on a dry cotton towel. If this leaves a glossier spot than the rest of the table, then you will need to get some rubbing compounds and polishes like you would use on a car's finish. If a mirror finish is not what you want, you can always adjust it down with the OOOO steel wool. Don't forget to use your favorite polish when your done. If none of these has worked, then the moisture has penetrated through the finish and is not repairable without refinishing. If you are trying to repair furniture yourself, do not use any nails, screws, air nail guns, duct tape, twine, metal brackets, coat hangers or other creative fasteners. It just makes things harder for us professionals when you do finally bring in it. Do not use any glue other than yellow or white Carpenters Glue or Hide Glue. Be aware of humidity when doing your own finish work. High humidity in the air will keep finish from drying or will make it "blush" (turn white and dull). If you are having a professional do your finish work, please allow several extra days for your piece to dry completely before using it. Be cautious when buying furniture. Just because someone says it is "solid wood" doesn't mean it is good. Particle board and MDF (Medium Density Fiberboard) are still "wood" but they aren't what you think. They are very hard to repair and much heavier than "real" wood. They will NOT last if under heavy use. Always ask, "Solid what wood?" Furniture marked Solid Oak or Cherry or Ash is a better bet. Believe it or not, potpourri (just about any kind) will eat the finish off of furniture even if it's still in a plastic bag! Don't ever put it directly on any finished piece, even if in a cloth or plastic bag. When buying chairs, turn them over and look for any indication of screws or nails. If you see them, it means that the manufacturer did not trust the joints to stay together on their own. It might also mean that significant modifications have been made to the chair in the past that may cause future problems. A professional restoration/repair shop should NEVER add screws or nails where none were present before. Stripping furniture does not necessarily remove the color from the wood. It may not be possible to lighten the piece to the desired color if it is stained dark. As a general rule, you can always go darker, but you can't always lighten it later. Just to be safe, before staining a light wood, make sure that you are comfortable with it being dark forever. if your furniture has been stained with an aniline dye, you can use some Stain-away to bleach it out. Make sure you do it out doors with a respirator. Do not keep your plastic or vinyl tablecloths, placemats, and other items in contact of your wood finish for an extended period of time. Wood finishes need to breath. If items cover the piece of furniture for an extended amount of time the Plasticizer will eventually leach out and permanently soften the finish. If you have metal bed frames and they squeak, simply apply some oil to the rivets to quiet them down. If your bed is made of wood and it squeaks, it most likely is getting loose and needs to be re-glued. Any time you have wood moving against wood, you will need something to keep the parts lubricated. If you have drawers that like to stick, try rubbing some clear Briwax or any other brand of paste wax on both the drawer and the wood it rides upon. It is sometimes shocking what a difference it can make. If it doesn't help, most likely the drawer will need some repair or is worn down. To remove darks rings, stains or gray oxidation, you will need to use some oxalic acid crystals . It is the main ingredient in the so called deck brighteners. To use them, you have to mix them with warm water until you reach a saturated solution meaning it won't dissolve anymore. Only mix the amount you need. You will need to apply it with a synthetic brush giving the entire surface a good wet coat (not just the stain) . The wood will need to be bare and lightly sanded prior to this step. Make sure you apply it to the whole surface and not just the spot. Leave the acid on until it dries or until the stain has vanished. Follow that with a couple washes of water to remove the residue. The grain will be raised after it dries, so you will need to sand it smooth before finishing. Make sure you use a particle mask when sanding because what crystals are left over will make you sneeze if you inhale them. Do it outdoors if possible. This can be a tricky one even for a professional. The only thing you can try is some 600 grit wet or dry sandpaper and a hard flat sanding block. Make sure you hold the block level while sanding the glue down flush. You will get into the surrounding finish, so try to keep it to a minimum. If the polish is pretty thick, you might mask around the spot to protect the area around it. Once you get it sanded level, you will need to finish sanding the spot with 1200 grit paper. To get the shine back on a high gloss finish, it will take some rubbing compounds and polishes on a cotton rag and some elbow grease Make sure you polish the entire surface so it all looks the same. Apply your favorite polish to finish it up. To begin the process of removing a musty odor from the inside of your furniture, you will need to have a spray bottle of denatured alcohol or other anti microbial spray. Open the cabinet and take out all of the drawers and spray the entire inside of the piece. This will kill any mold spores that may be lurking. Let it dry opened up in a sunny place for a good week. If this hasn't done the job, you will need to go to the next step of sealing the raw wood with any type of finish which will seal in the odor. You could also purchase a small electric ozone generator to eat up the odor causing molecules. A new approach might be using one of the new products for removing odors from fabrics like Fabreeze. Although I would still suggest killing the mold spores first. I have had a customer who had success with putting an open can of ground coffee inside to absorb the odor. In addition to using furniture wisely, it is important to handle it carefully. Safe handling and moving of furniture begin with a basic understanding of how a piece is constructed. The second step is to plan carefully. Before picking up a piece of furniture, determine how it is put together and if any of its parts are removable or detachable. Make sure you know where the furniture is its strongest - generally along a major horizontal element - and try to carry it from these points. Then examine the room and the route whereby the furniture is to be moved. Look around to make sure you know where everything is. Identify potential trouble. Light fixtures that hang low, for examples, or that extend out from the wall may be damaged or cause damage. Glass table tops are also easily damaged if bumped. If necessary, clear the way by moving or removing fragile or obstructive items. Protect the furniture to be moved with soft padding or wrap it in a blanket pad. Padding, which will provide extra insurance against bumping and gouging, is especially important if an item is going into storage. Before moving an item, make sure you know exactly where it goes next. Plan ahead to adjust the temperature and relative humidity in the new location so they are the same as where the furniture presently is. Extreme changes in temperature and humidity can cause splitting of joints and veneers. Never hurry when you are moving furniture. Scratches, dents, and gouges from bumps against door knobs, doorways, and other furniture are always more likely in haste. Each item needs to be approached individually, without haste, and with sufficient manpower present. Make sure you have a firm grip on the piece with both hands. Do not wear cotton gloves. It is essential that hands not slip from a piece of furniture while it is being moved. Never slide or drag furniture along the floor. The vibration can loosen or break joints, chip feet, break legs, etc., to say nothing of what dragging does to the carpeting or finish on the floor. Whenever possible, use trolleys or dollies for transporting heavy pieces. Handling valuable furnishings requires a special attitude: in general, movement should be carried out at a slower pace. Here are some quick tips for moving furniture properly. Remember: If you don't break it, it doesn't have to be fixed! The following sections offer suggestions for moving specific types of furniture. When lifting a chair, remember that the seat rail is its strongest part, not the chair back. Frequently lifting by the back, especially the crest rail, will eventually result in breakage. For small chairs, lift by the side seat rails, one hand near the front on one side, the other near the rear on the other side. When lifting a large chair or sofa, the principles are the same. Grab underneath the side frame, making sure to lift with your legs rather than your back. For upholstered chairs or sofas, place your hands underneath the frame to avoid touching the upholstery. If upholstery must be touched, use cotton gloves. For chairs with slip seats, remove the slip seat and wrap and move it separately to prevent its being soiled or falling out during the move. The strongest part of a table is generally the apron. Whenever possible, lift the table carefully from the apron, never by the top or legs. Lifting on the top rather than the apron may break the glue-blocks that hold the top to the frame or strip out the screws that hold the top on. Grabbing the legs, particularly tables with long, unsupported legs, will cause unnecessary stress on the leg and the joint connecting it to the apron. Whenever possible, wrap padding around a table's legs before moving it to prevent chipping or breakage during the move. If you are moving a drop-leaf table, first determine which support members move. Is the table leaf supported by a bracket or by a swing-leg? Fold the leaves down, and restrain them with padding and a tie band. If the support is provided by a swing-leg or gate-leg, tie it in place as well. The only safe place to grab a drop-leaf table is underneath the end aprons. Grabbing by the legs, especially swing-legs, will increase the chance of damage to them, and grabbing the table by the side leaves will often result in fracturing the long rule joint that allows the leaves to drop. While case pieces, especially large ones, may appear very different from tables and chairs, the same rules apply. Never try to move a large piece by yourself. A case piece requires at least two people. While a case piece requires can be moved by carrying it carefully, holding on to the bottom as you would a table or chair, it is better to move the piece on a dolly. A dolly makes the move safer for both the movers and the object, and that is all the more true for large objects. First, examine the piece. How was is put together? And how can it come apart? Take the piece apart as much as is possible. That is, remove the top piece of a cabinet from its base; remove the cornice or pediment, if there is one. If the carcass is sturdy enough, remove an drawers to lighten the load and make the move easier. Carry the drawers separately to the destination. However, if the carcass is weak and shifts from side-to-side, leave the drawers in place to provide stability and prevent further damage to the joints. Tall pieces that do not come apart into separate sections need to be set on their sides on a dolly to prevent their topping over. If the piece has handles, wrap them with padding. Padding protects the handles, the furniture surface (if the handles have swinging bales or drops), the movers, and the surroundings in case you bump up against anything. Never grab a heavy piece like a chest of drawers or bookcase by the cornice at the top. The attachment of the top to the base may be loosened and pull apart from the rest of the piece. Lift the piece straight up, using your legs, not your back. Don't let it tilt, and do not grab it by its hardware or any other protrusions. The moving project becomes increasingly difficult with objects that are large and complex. Objects that come apart into many pieces or are unwieldy require extra care and preparation. Because of their many parts grandfather and grandmother clocks are very difficult to move. Always remove the pendulum and weights from within the clock before doing anything else. These pieces are heavy and will damage the clock case if they smash into the side of the case. They may also cause damage to the mechanism itself. Wear cotton gloves when you remove the pendulum and weights, to avoid corroding the metal pieces from skin contact. Remove the hood from the top of the clock (they often slide forward), and lay it down to pack and move separately. Make sure the door to the case is locked or securely closed before moving the clock. Use bare hands, not gloves, for moving and packing the carcass of the case. For short moves, like those of only a few feet, it is permissible to lift by grabbing the narrow case from the underside of the molding at the top of the waist, or center portion of the case, provided that the molding is firmly attached to the case itself. For longer moves, or if that molding is not secure, the clock case should be carried flat like a coffin. After the soundness of the surface has been established, the next step is to find out what the dirt is and what the surface is. If you can't determine these exactly, find out what removes the dirt without affecting the surface underneath it. Often, dust can be removed with the careful wipe of a damp cloth. Oily dirt or waxy residue can be removed with a mild detergent and water solution or with mineral spirits. However, it is vital to make sure that the cleaning solution does not affect the underlying surface. Even when you determine a cleaning method that works successfully, proceed cautiously. Loose dust on the surface can be removed with a soft, lint-free cloth, gently rubbed over the surface. Dust is an abrasive and can scratch the surface, so be careful. Uneven areas can be dusted with a clean, natural bristle paint or artist's brush. Again, do not try to dust a surface that is severely deteriorated. Cloth fibers can catch and tear away pieces of the finish, veneer or loose parts. Even rough edges can splinter. Carving, fretwork, and other delicate work can be dusted with a soft bristle brush, with a vacuum cleaner host held close enough to take in the dust one it is dislodged by the brush. Do not use feather dusters, as they can scratch and pull off loose fragments of veneer. Surfaces in good condition but with a heavy accumulation of dust can be cleaned very carefully with a vacuum cleaner. Use the lowest suction available and the round brush attachment. Don't let the metal or hard plastic parts of the vacuum bump into the surfaces; they can scratch the finish or wood. Much damage, in fact, occurs as the feet and bases of pieces are hit with the vacuum cleaner. This simple approach avoids the problems created by popular methods of "furniture polishing" - such as sprays and oily polishes - that may result in cumulative damage to furniture. Many polishes and residues continue to be a vexing problem for furniture conservators, as they can build up over time and with numerous applications, trapping and adhering airborne dirt onto the surface. Clean hardware carefully with a 50/50 mix of acetone and alcohol to remove any dirt and oil residue, scrubbing the piece with a soft bristle brush. After drying, the surface can be polished with a fine, lint-free cloth of felt block charged with a very fine abrasive, such as calcium carbonate or jeweler's micro polish, in an alcohol or mineral spirits slurry. Commercial polishes can contribute to the deterioration of the hardware, as they frequently contain harsh cleaners that corrode the metal. There are several factors to weigh when deciding to use polishes and waxes on furniture and other wooden objects. One critical factor is that the ingredients in commercial polishes and cleaning products are rarely disclosed. Moreover, these ingredients can be, and frequently are, changed without warning or notification. These ingredients may be harmless or harmful to the furniture (and to you) and you have no way of knowing in advance. Polishing products are available in three forms: aerosol (spray); liquid; and semisolid. Here is a quick look at their benefits and drawbacks. Aerosols are convenient. However, they have been among the worst offenders in introducing silicone oils and other contaminants onto furniture. In addition, they may contain solvents that attack varnishes and lacquers. While some of the "dusting" aerosols appear to be benign when applied to a cloth and not the piece of furniture, the result is similar to using a damp, clean dust cloth. Like aerosols, liquid polishes are easy to use. There are two primary forms of commercial liquid products for "furniture care": emulsion cleaner or polishes and "oil type" polishes. Emulsion polishes are waxes, oils, detergents, organic solvents, and other materials suspended in water for ease of application. These products can be extremely powerful cleaners that leave a desirable sheen on the surface. However, the visual effect usually diminishes as the liquid dries. Moreover, like aerosols, emulsion polishes can introduce contaminants onto the furniture, but because they are liquids they place much more volume than sprays on the furniture surface. Oil polishes are even more troublesome. Much like emulsion polishes, oil polishes can be a complex blend of ingredients including oils, waxes, perfumes, colorants, "cleaners," and organic solvents. They can render extremely pleasing surfaces and are used frequently as final finishes by themselves. However, oils used as polishes or cleaners can be very damaging. Nondrying oils (paraffin, mineral, and "lemon oil," which is usually mineral oil with colorants and perfumes added) tend to be more benign than drying oils, but even so some oil remains as a liquid on (or in) the object. Dust and other airborne contaminants readily stick to wet surfaces, especially oils. But nondrying oils don't undergo chemical reactions or directly damage the furniture. Drying oils, on the other hand, such as linseed, tung, or walnut oil, are a different matter altogether. These materials solidify, or "dry" through a chemical reaction with the air called oxidation. Over time this reaction makes them increasingly difficult to remove. Their permanence is fine if the oil is employed as the finish, but not good if it is used as a maintenance polish. By itself, having a polish that is difficult to remove would be an irritating but not an insurmountable problem. Unfortunately, as drying oils age they tend to yellow and in the presence of acids they are chromogenic (become Colored), turning a dark, muddy brown or opaque black. Traditionally, cleaning and polishing concoctions comprised of linseed oil, turpentine, beeswax, and vinegar (acetic acid) were widely used even in the museum field until recently. They turned out to be a disaster waiting to happen. The results of their use are readily apparent to even the casual observer: a thick incrustation of chocolate-colored goo that is neither hard enough to be durable nor soft enough to wipe off easily. The furniture is left with an unsightly coating that is very difficult to remove without damaging the underlying surface. By virtually any measure semisolid polishes are the least damaging to wooden objects. Frequently called "paste waxes," these products are actually a very concentrated solution of waxes. Provided the ingredients do not include undesirable contaminants like silicone or high concentrations of damaging organic solvents such as alcohol, xylene, or toluene, paste waxes are an excellent polish for the surfaces of most wooden objets. Because waxes are exceedingly stable and don't cause many of the problems inherent in the previously mentioned polishes, they are the material of choice for furniture conservators and other caretakers of furniture and wooden objects. But paste waxes have their faults too: unfortunately, they require the most active contact with the surface of the furniture, and also need the most physical labor for proper application. Buffing out a wax polish can be very hard work, and in general, the better quality the wax, the harder the buffing that is needed. However, the results and benefits to the furniture are worth the extra effort. Fortunately, as the most durable and stable polishing material, paste wax needs to be applied much less often than aerosols or liquids. Ideally, wax polishing should be conducted no more than twice a year for areas of extremely heavy wear (desktops, chair arms, etc.) and once every three or four years for table and chair legs, cabinets, and similar areas. If a surface can no longer be buffed to the sheen appropriate for a waxed surface, it is likely that the wax has worn off. In that case, apply another light coat of wax to the affected area in accordance with the product instructions. Wax that is applied too frequently or improperly can build-up and cause an unsightly surface. When the wax is used correctly, however, the solvent content of the new wax will "clean off" any previous wax remaining on the surface and will simply integrate the old into the new. IS IT OIL BASED OR ACRYLIC/LATEX PAINT? To determine what type of paint is on your furniture, brush some stripper on an inconspicuous spot and see what happens. If it is oil based, the paint will wrinkle and bubble. If it just softens up into a slimy goo, it is latex or acrylic. Oil based paint is the easiest to remove. When shopping for a mattress wear shoes you can get in and out of easily. Test the mattress by laying full-length out on the bed. Try it out like you're going to use it, and spend some time on it to see how it really feels. If you feel silly, just think how silly you're going to feel when you don't sleep comfortably after spending all that money! Note the gauge of the wire as well as the coil count. The smaller the #, the heavier the wire is. Always buy box springs at the same time. They are made to be a set. Use a heavy-duty bed frame with good center support. Stick with a name brand. Don't assume that a higher price means a better mattress. Stay away from department stores - they're always higher and sometimes the name-brand companies make mattresses to fit the store's specifications. You might not be getting the mattress you think you are. Look for a mattress warehouse or factory. Make sure your mattress has a non pro rata warranty of 10 years. Shop around, compare delivery prices, and find out if the company will remove your old mattress for you. Buy a mattress with a minimum of 312 coils (fine for children), with 540 being the absolute best. Full-size should have at least 300, queen-size at least 375 and king-size at least 450. For the bed to be right, it should yield enough for you to sink slightly, but not too much, into the bed. LIE DOWN on the mattress, preferably with your sleeping partner, before you buy. You're not going to be bouncing up and down on the edge of the mattress with you get home! For a dry bed, choose a mattress with comfort layers made of latex and insulating pat made of coconut fiber. Stay away from wool because wool can grow mold when damp that could trigger asthma problems. A mattress should be an innerspring at least nine inches thick. Don't buy budget when you're buying a mattress. A good mattress will last you 10 to 15 years and will end up costing only pennies a night even at the high-end prices. Shop smart, but don't scrimp. Foundation - absorbs the shock of daily wear and provides support and durability. Core - provides support for the body and can be spring, air, foam or water. Upholstery - Adds comfort and cushioning. Coil Count - the number of coils in the mattress. High coil count gives better contouring while lower coil count if firmer. Contour - how the mattress coils conform to the body for comfort. Box Spring - supports and cushions the mattress. Wire gauge - thickness of the wire coils. The thicker the wire, the less flexible the coils. Comfort level - can vary from manufacturer to manufacturer with Plush being soft and fluffy, Firm being standard cushioning and Pillowtop being a mattress with extra layers of cushioning. Non pro-rated warranty - a manufacturer's warranty against defects. Pro-rated warranty - offers less coverage based on the number of years in the warranty. Grade is the most important feature of leather's quality--and an indicator of durability and price. Manufacturers and showrooms use similar vocabulary to describe grade, which makes the buyer's job easier. Top grain indicates leather taken from the desirable outer surface of the hide. Leathers taken from the lower surfaces are split grains, and are much weaker. All but the least expensive furniture should be made from top grains. Top-grain leathers are graded based on the ways manufacturers prepare the leather. Aniline (or "pure" or "full" aniline) leather is soaked in aniline dye, but does not have other finishes or pigments applied. Only the best hides are used for this superbly soft leather. Semi-aniline (or "protected" aniline) leathers have a small amount of coating or pigment, giving them slightly better protection against stains and fading. Pigmented leathers are fully treated with surface color. Made from lesser-grade hides, they are stiffer than anilines, but also more stain- and scuff-resistant, and more affordable. Leathers are graded by how much manufacturers have to do to get them ready for market. Nearly perfect, mark-free hides are rare and, therefore, highly prized. Most anilines will have visible markings, such as wrinkles and scars, that contribute to their natural beauty. Like a well-worn wallet or bomber jacket, they develop a lustrous patina with age and use. Keep in mind that added finishes and surface pigments aren't necessarily bad. In fact, if you prefer more consistent color in your furniture, untreated anilines may not be for you. Finishes and pigments also provide greater protection from scratches, stains, and sun fading. The "best" leather, in other words, is by no means always the best choice for your family or situation. Nubuck leathers are lightly brushed or abraded, resulting in a short nap with a plush softness. Nubucks are top-grain leathers, so they last longer than do their cousins, suedes. Nubucks also have the advantage of being treated with a protectant that makes them more stain-resistant than other anilines. Suedes approximate the look and feel of nubucks but are made from less-durable split grains. Sauvage is a two-toned effect that lends depth to leather, producing a marbled or creased appearance. Pull-up leathers are full anilines that have an oil or wax application. When the leather is pulled, or stretched, the oil or wax separates, producing a lighter burst of color. The pull-up technique is used for distressed or weathered looks. Embossed leathers are corrected grains that have a new pattern or grain imprinted on them with high heat or pressure, resulting in anything from alligator to floral effects. Grade will largely determine how much you pay for leather furniture. A sofa made from top-grain leather will range from $700 (a good sale on corrected-grain, pigmented leather) to $6,000 or more for designer names and pure aniline leather. * Keep leather furniture away from heat sources, which will eventually dry the leather out. * Place furniture out of direct sunlight, which causes leather to fade. * Vacuum leather regularly to remove dust. * Blot any spills immediately with a dry cloth, and let air dry. * Regularly use the recommended cleaners or creams to improve leather's resistance to staining and to keep it soft and supple. Leather-care products are available from furniture manufacturers and stores; salespeople can recommend products for the furniture you select. Many retailers also offer leather warranties. For a moderate price (about $100 for a seven-year warranty on a sofa, half that for a chair), your leather will be repaired or replaced if it cracks, stains, or tears, ensuring that you will enjoy it for years to come. Glass tops can protect your wooden tables, but don't let moisture get trapped between glass and wood. Create an airspace by elevating the glass top on clear butyl rubber bumpers available at most glass shops and let your wooden table tops breathe. Wood screws go in a lot easier when you scrape the threads across some candle or bees wax or a bar of soap first. If some melted wax gets on your table top, hopefully it hasn't hurt the finish. Since you just cant wipe it off with a damp cloth, you have to scrape it off. Yes it sounds scary, but it isn't really. The scraping tool of choice would be an ordinary credit card. You shouldn't try to scrape it all off at once, but by taking it off in thin layers, it will eventually come off. Since the card is softer than the finish, (We Hope), is doesn't scratch the surface. Once you get as much off as you can, you can then remove the remaining wax with a soft cloth dipped in lemon oil. Some colored candles can stain a finish. If this happens, it is best to try some rubbing techniques. The only way to pull grease and oil out of wood is with a poultice. Go to your swimming pool place and get a bag of diatomite or commonly known as diatomaceous earth. Grab a couple of gallons of acetone also from hardware or paint store. Mix the two together to form a paste you can spread over the top. You will need about a 1/2" layer of it. As the acetone dries, the oil gets pulled into the DE .Once it is dry, scrape it off into the trash and repeat if necessary. Most likely it will take at least three applications. You might try putting a heat source directly under the slab at the same time which will drive more oil to the surface. You will need to do this process outdoors because of the intensely flammable and highly smelly fumes. To determine what type of finish you are dealing with, You will need to do a solvent test. Put some acetone or fingernail polish remover on a finger and rub it in an inconspicuous spot to see if the finish starts to soften. If it does, you are dealing with nitrocellulose lacquer which is predominantly used in the furniture industry. If it doesn't soften, try some denatured alcohol the same way. If it softens with alcohol, you have a shellac finish. If neither one seems to soften the finish, you are either dealing with varnish, polyurethane, catalyzed lacquer, conversion varnish or polyester which are all non-reactive finishes that can't be re-dissolved by their original solvent. If the top is removed, it will be easier to do the clamping during the glue job. Use some liquid hide glue made by the Franklin company since it will bond well with the old hide glue. Try to work some of the glue underneath the loose stuff keeping in mind the there are most likely two layers of veneer. The top layer and the substrate layer which has the wood grain running in the opposite direction than the top layer. You may have to feed glue between all the layers. A long thin bladed spatula is what I use. Once you have sufficient glue to all recesses, you need to squeeze out all of the excess glue with a veneer hammer, J-roller, or wall paper roller. Keep a damp rag handy to catch the drips. To clamp it, you will need a flat block of wood that is at least the same size as the loose portion, some C type clamps, and some wax paper to put under the clamp block to keep it from sticking once the glue dries. If you are gluing a descent size area, you will want to start the clamping from the inside working your way to the outside. This will help squeeze out more extra glue that isn't needed, so keep you rag handy again. What you don't want is a pocket of extra dried glue under the surface resembling a bubble on the finished product. If you are gluing in a loose piece or patch, I have found it helpful to use a piece of thick clear lexan as the glue block. This allows me to see through it to make sure the piece hasn't slid on me while clamping. The hide glue doesn't stick to the lexan, so no wax paper is needed. After drying overnight, you can remove the clamps and block. If the block is stuck, tap the side of it with a hammer like you are spinning it. Lifting it off could take the veneer with it. If you have a finished surface with glue residue on it, a warm wet rag will dissolve the hide glue. When buying upholstered chairs, love seats, and sofas, there are a few things to consider. There are two types of frames, the cheaper plywood frame and the better hardwood frame. The cheaper frame is more prone to loosing a spring if someone sits down to hard or you have kids that like to jump. If that happens, fixing it could cost you. The hardwood frame won't do you any good unless it is put together with dowel joints. Stay away from upholstered recliners that have the foot rest that pops out. I have yet to see one that is worth buying. Even worse is the sofa with the recliner built into it. As for the fabrics, the cottons won't last near as long as the synthetics. A good heavy tapestry will wear like iron. Make sure you ask a lot of questions. What is the warrantee? Do they deliver? Can it be upgraded with a better fabric or legs? Make sure you shop around. This can be a tricky one even for a professional. The only thing you can try is some 600 grit wet or dry sandpaper and a hard flat sanding block. Make sure you hold the block level while sanding the glue down flush. You will get into the surrounding finish, so try to keep it to a minimum. If the glue is pretty thick, you might mask around the spot to protect the area around it. To get the shine back on a high gloss finish, it will take some rubbing compounds and polishes on a cotton rag and some elbow grease. Apply your favorite polish to finish it up. Your best defense when buying antiques as an investment is simply to be well informed. Read books from the library, ask questions of dealers, know what you are shopping for and what it should be worth. Most dealers specialize and so should you, no one knows everything about everything. If you are buying the piece because you like it and not as an investment, the only criteria is how much you like it and how much you can afford. When it comes to doing repairs, it is very important to use the proper glue for the job. When it comes to re-gluing joints on furniture made prior to 1955, my favorite is Franklin brand liquid hide glue. It has very good tack and strength plus has a longer working time which comes in handy for re-gluing chairs. Furniture made after 1955 to present day is constructed with PVA (Poly Vinyl Acetate). It is the pale yellow glue for woodworking or carpentry. If your project requires a long open time, this is not the glue of choice. You are better off with the hide glue. For broken components that are hard to clamp and wont ever need to come back apart, I would recommend a five to thirty minute epoxy. I don't recommend using this glue for the joints unless you have a lot of play in them. It is the best gap filling glue out there. For fixing hairline cracks that you can't get conventional glues into, You can use a thin or thick cyanoacrylate commonly known as super glue. It works even better if you use an accelerator to speed up the hardening process. You might want to shop at a model airplane store to find it. I don't recommend this glue in areas that need to be structurally significant. Remember to keep a bottle of fingernail polish remover on hand just incase you glue your fingers together or to the furniture.